Since way back in 2004, the Far Cry series has been kind of a pinnacle of massive open world FPS games. 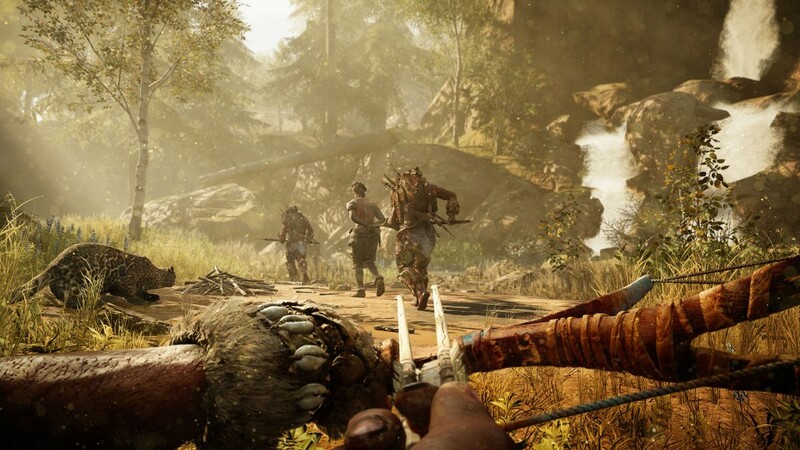 The last 2 games in the series hit that idea out of the park with minor technical issues, and a few gameplay snags, but Far Cry is back again with what may be the first in a new yearly release schedule via Far Cry Primal. .
FCP, as I will refer to it for laziness sake, takes you back thousands of years to the days of prehistoric man, when humans battled the elements, early predators, and Neanderthals. We play as Takkar, the lone survivor of a hunting trip gone wrong as he travels to a legendary plot of land and rebuilds his dying clan. We will seek out other members of our Wenja tribe to defend against two other rival tribes in the area and establish our dominance. Plot wise, the game is very bare bones(in a good way). You are presented few(none that I can recall actually) of the good/bad plot choice elements of FC4 and it would seem that your performance is the key element in success, as it should be. One of the more interesting things is that the characters speak a fictional language which sounds relatively believable, and lends a reality to the game’s presentation that no other prehistoric game or movie has done. My only presentation gripe is that the art direction of the title seams to have been “make everything really muddy and the only colors that exist are orange and blue.” Maybe I’m just getting old, but the near-monochromatic visuals are murder on the eyes when you are expected to be hunting and gathering. Small gripe aside, on a technical level FCP is fairly beautiful. Character models and animations are fluid and lifelike with some solid mo-cap work accentuating the character interactions and cut scenes. Draw distances are rarely a problem due to the smaller more heavily brushed map, and technical flaws like screen tearing or frame drops are nowhere to be seen in my play through on the PS4. Gameplay wise, Far Cry Primal, is as good and bad as the Far Cry 4, which Primal feels like a slightly bigger expansion pack for. The standout’s here are the improved hunting and tracking design, and a much deeper crafting system than anything we’ve seen before. The entirety of the game really revolves around crafting EVERYTHING you need ALL THE TIME. Luckily, later in game you can recruit people to do gathering for you to make sure that you have a steady flow of supplies. Much like FC4, capturing bonfires(like outposts) opens up new quests and map markers. Like any open world game however, the problem comes with keeping the player in line for the main game quests. It is as easy as ever for players to trail off and do random junk to kill time, and I imagine few people will finish the key quests, even with the overall shorter story and smaller map. Despite a not particularly memorable soundtrack, the sound design of the game is top notch. The prehistoric animals aren’t just re-skinned elephants or tigers, they have unique twists on the sounds we are familiar with. As noted above, the inclusion of a fake language helps the voice acting stand out more, and the overall sound design of FCP is pretty great, especially with a proper sound system or headset. To my surprise I actually really enjoyed Primal despite its minor problems. I’m a history buff and find the unique and fresh ideas presented narratively exciting here. Primal may not be as content rich as Far Cry 4, but I feel like the content quality is a bit higher and definitely more interesting. That said, the gameplay itself probably won’t convert anyone who doesn’t like first person or open world games. I say absolutely give the game a try. Far Cry Primal is well worth the experience. To my surprise I actually really enjoyed Primal despite its minor problems. I’m a history buff and find the unique and fresh ideas presented narratively exciting here. Primal may not be as content rich as Far Cry 4, but I feel like the content quality is a bit higher and definitely more interesting. That said, the gameplay itself probably won't convert anyone who doesn't like first person or open world games. I say absolutely give the game a try. 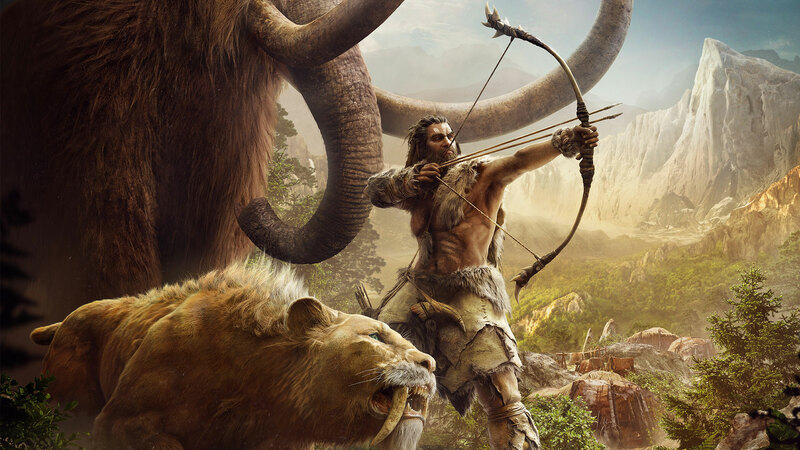 Far Cry Primal is well worth the experience.